Cracked, broken, and chipped teeth are common dental emergencies that require immediate care. 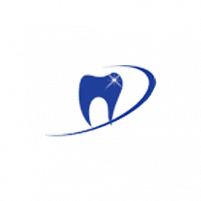 The doctors and certified clinicians at Advanced & Cosmetic Dentistry in Whitehall, Pennsylvania, are there to provide a range of emergency dentistry services when you need them most. Learn more about emergency dental services by calling the practice, or schedule an appointment online. A dental emergency is any situation where there is a high risk of tooth loss or excessive bleeding around a tooth. If you have been in an accident where the tooth got knocked out of its socket or you notice signs of infection around a tooth that is only getting worse, you need to call the practice for immediate care. The team at Advanced & Cosmetic Dentistry can provide detailed instructions on how to preserve a tooth and other tips right over the phone, if necessary. The goal is always to save your natural teeth and restore your oral health as quickly and efficiently as possible. There are several ways to preserve a tooth in an emergency situation, so it’s best to be prepared for different scenarios. Try and put the tooth gently back into the socket and hold it there until you can see a doctor. If that’s not possible, hold the tooth securely between the cheek and gums. Otherwise, you can store the tooth in a small container of milk to keep the tooth alive long enough for a restoration at the dental office. Rinse the mouth with warm water immediately and apply a cold compress to the cheek to manage any swelling. Many people accidentally bite their tongue too hard while chewing or endure some type of accident where the tongue is damaged. If you notice signs of blistering, cuts, or abrasions, take steps to keep the area clean with warm water and then apply a cold compress to reduce swelling. Rinse the mouth with warm water and floss gently to remove any debris that might be stuck between the teeth. Avoid putting aspirin on a potentially infected tooth or on the gums. What types of emergency dentistry services do you provide? The doctors and team of certified clinicians at Advanced & Comfort Dentistry are trained to help patients in several emergency situations. The practice can accommodate last-minute appointments so it’s always best to call and see which doctor is available. Your doctor can perform tooth extraction when needed, fix cracked or chipped teeth, and perform tooth replacement procedures. Same day appointments and services are available. Nobody should have to suffer from toothaches and pain associated with damaged teeth, gums, or the tongue. If you are dealing with dental problems and think you might need emergency dentistry services, call the practice for immediate assistance.